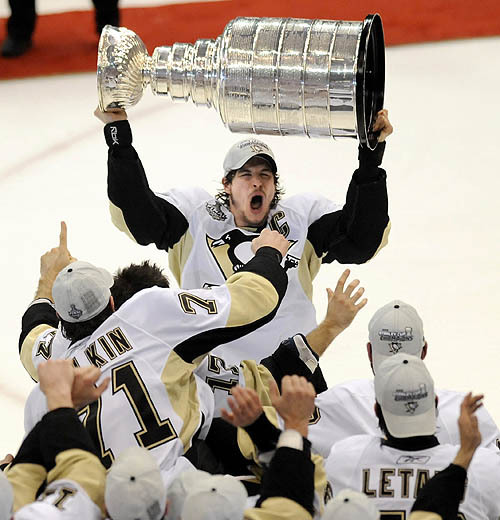 Why they will win: The Penguins are the defending champions and have an experienced, yet youthful core, that has been to the Cup Final two consecutive years. They have Crosby and Malkin. Marc-Andre Fleury is a “money” goaltender. Fantastic penalty kill unit. Why they will not: A third consecutive Final appearances is too much to ask in the cap era. They lost Hal Gill and Rob Scuderi, who were their shut down pair of blueliners. Malkin has been a bit “off” all season. Their power play is suspect at best. Teams they would prefer to play: Philadelphia, Buffalo, Montreal. The Penguins own Philly, seem to have all the answers against Miller for some reason and play very well against the Habs. Teams they would like to avoid: New Jersey, Washington. They have not had a single win against either team in the regular season, but have a very good history against the Caps in the playoffs. Why they will win: The Wings are finally healthy and are peaking at the right time of year. Their injury problems may prove to be a blessing in disguise as some key vets have saved some wear and tear from the regular season. Jimmy Howard has been a smashing success in goal. Exceptional special teams. Can dominate in the face off circle. Maybe the best coach in the business. Why they will not: Howard has never faced playoff competition. Detroit has also been to the Final two consecutive years and are a bit older as a team… they may tire in a third Cup run. 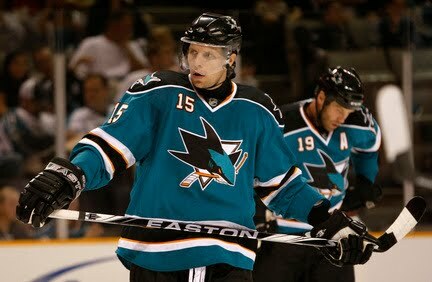 They will miss the top flight and clutch scoring of Marian Hossa, Jiri Hudler and Mikael Samuelsson. Teams they would prefer to play: San Jose, Vancouver, Nashville. The Wings have dominated these three teams all season. Teams they would like to avoid: Chicago. The Hawks are the only team in contention that they have had a losing record against. 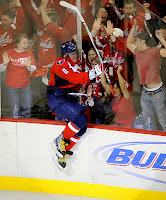 Why they will win: Alex Ovechkin and their super charged offense can outscore anyone. Offensive depth is massive; even if you nullify their stars, the Caps have secondary scoring galore. Jose Theodore has performed better than expected. They are better defensively than last season. The power play is so good it should be considered unfair. Why they will not: No matter the statistics, they have defensive liabilities and questions still abound in net. 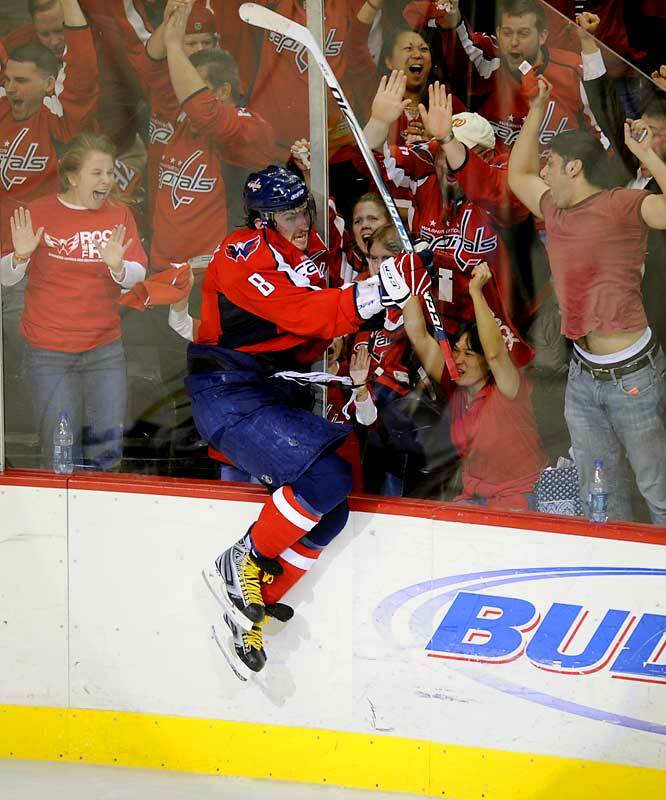 Up front, they have turnover machines in Ovi, Semin, etc…which could cost them dearly. Penalty kill is one of the league's worst. Teams they would prefer to play: Atlanta, Philadelphia, Buffalo, The Caps can do no wrong against the Thrashers and seem to have the Flyers and Sabres number this season. Teams they would like to avoid: New Jersey, Ottawa, Montreal. They have done poorly against the Devils and Sens, and surprisingly split with the Habs this season. Why they will win: Highly skilled all over and balanced production means that they are not overly dependent on any one player or line. Good face off team, excellent on the penalty kill. Both Niemi and Huet are capable of heroics. They shoot the puck more than anyone and have allowed opponents the least amount of shots of any team. 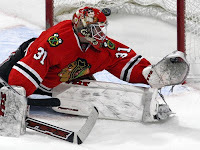 Why they will not: Both Niemi and Huet are capable of imploding. They are young and don't have a ton of playoff experience outside of a few, new, veteran additions from this season. Average power play. Teams they would prefer to play: San Jose, LA, Nashville, Calgary. Of the playoff hopefuls, they have laid the wood against these four in particular. Teams they would like to avoid: Phoenix. The Coyotes are the only team to give Chicago fits in the West. Why they will win: Great goal scoring ability. Nabokov can heat up and take over games. Best overall special teams in the League. Excellent on the draw. Why they will not: The Sharks have been pathetic in the post-season in recent years. May rely too heavily on their top line for goals. Nabokov has been shaky at best since the break. Teams they would prefer to play: Nashville. The Predators are the only playoff bound team that San Jose has handled easily. Teams they would like to avoid: Detroit, Chicago. The Sharks have had their butts handed to they by both of these clubs. Why they will win: Luongo can dominate in stretches. The Sedins are just the beginning of their dangerous, four line attack. May have the best top six group of forwards in the NHL. Excellent power play. Can play any type of game: Can skate and bang with anyone. Why they will not: Have had inglorious past playoff exits; and have been prone to injuries all over. Vancouver's penalty kill is middle of the road. Luongo has yet to win the "big one". Teams they would prefer to play: LA, Colorado. the Canucks have bullied both clubs. Teams they would like to avoid: San Jose, Detroit. Hapless against these two top teams. Why they will win: Marty! 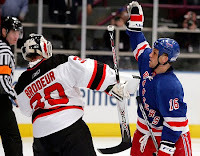 The Devils have added some scoring punch with Kovalchuk. They will outwork anyone and are disciplined and can be extremely frustrating to play against for opponents. They are extremely patient while waiting for their opportunities to strike. Why they will not: Brodeur has been surprisingly pedestrian in his last two playoff seasons. Their offense can flat out disappear for prolonged periods. Specials teams are just so-so. Teams they would prefer to play: Pittsburgh, Washington, Montreal, Ottawa. The Devils have a combined 15-3 record over these four teams. Teams they would like to avoid: Philadelphia has kicked New Jersey's tail. Why they will win: Considering how they have performed despite their off-ice situation this season, the Coyotes have to be considered one of the closest and mentally tough clubs in the NHL. Phoenix has no superstars, just a well balanced offense, and a dominant defense. Bryzgalov has been All-World in goal. They can play a very physical game. Excellent on the penalty kill. Why they will not: They have almost no history in the playoffs as a team. Poor power play. Would they engrave the League's name on the Cup as the owner? Teams they would prefer to play: Chicago. Dominated the Hawks all season. Teams they would like to avoid: Pretty much near .500 or better against everyone. 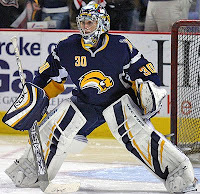 Why they will win: Ryan Miller can win anything he wants! Buffalo's top line can generate offense in bunches. Excellent on the penalty kill. Tyler Myers, although a rookie, presents many match up problems. Ryan Miller and Ryan Miller. Why they will not: Just don't have enough offensive production. Buffalo's core group has little playoff experience. Power play is middle of the pack. They give up too many shots per game. Teams they would prefer to play: Montreal, Philadelphia. The Sabres are 7-2 against these two teams. Teams they would like to avoid: Pittsburgh, Ottawa, Washington. On the other side, Buffalo is 2-11 against these three. Theses teams all have a shot. They all have talent and strengths. They may be even able to create a few upsets, but just cannot be considered favorites. Los Angeles Kings: Played above expectations all season. Truly talented, just not ready yet. Colorado Avalanche: A massive surprise and a feel good story. Very young, but fading and just have too difficult a road to navigate in the West. Ottawa Senators: Very streaky both good and bad. They have some great pieces, but just not enough. Philadelphia Flyers: Great talent, no healthy goaltenders. Nashville Predators: They seem to keep up with the big boys, but don't have that extra gear offensively when they need it most. All of these teams still have a dog in the fight, no Michael Vick references please... but it just ain't gonna happen this year.